The artists in this slideshow are Julio Valdez, Edmonia “Wildfire” Lewis, Ebony Iman Dallas, Nick Galanin, Aaron Paquatte, Amy Sherald, Kehinde Wiley, and Tim Nyugen. 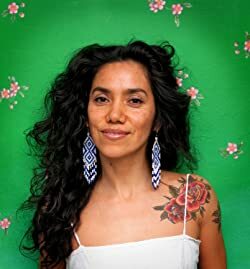 They represent Southeast Asian, First Nation, Latino, and black American visual artists who reflect a consciousness message needed for our YOC in today’s society. 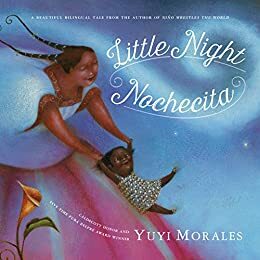 You simply MUST listen to what Mexican American Yuyi Morales has to say about the damage the political climate is causing her, a Mexican immigrant who crossed the border with her infant son two decades ago, as she realizes today her son would be removed from her arms and she might not have ever seen him again…had it been today. Had she not come to this country, we would have never been blessed with the stories she bestowed upon us, in the books she’s written. 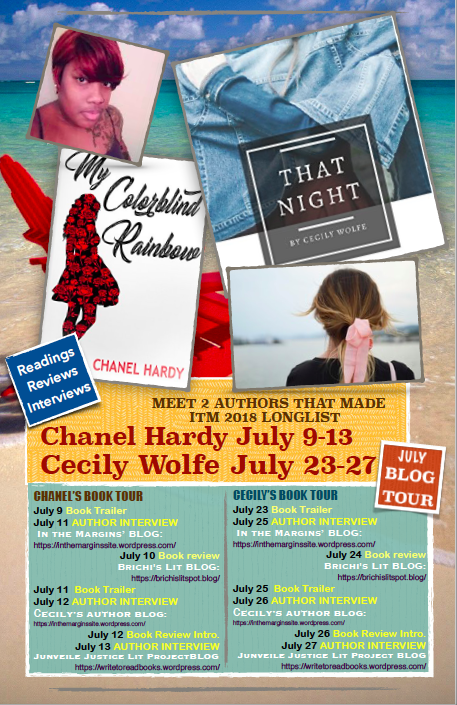 Our Blog Tour! Is Rolling! remains, filled with remorse and guilt from the unknowingly fatal advice he gave that ended his friend’s life, wondering if can he step up to the plate and be as brave as his friend was. For both were eye-witnesses to a targeted execution. 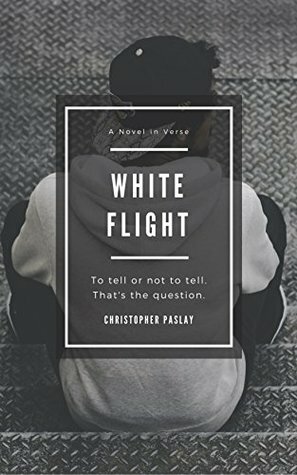 Please welcome the talented and much-acclaimed author, Christopher Paslay, as he reads verses from this newly engaging title that can cause readers to experience a powerful impact from the experience it brings when youth read its text. 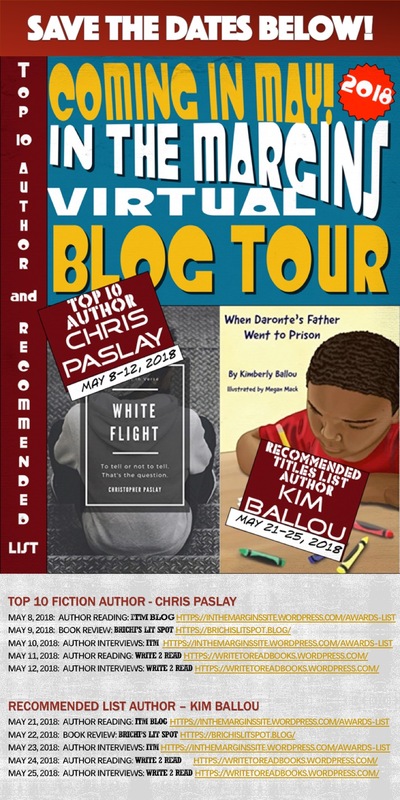 ON WEDNESDAY follow us over to In The Margins Book Awards Site to and let us share with you the author interview, and see what Chris has to say about the experiences he’s had with writing WHITE FLIGHT while holding down a full-time job as a Philadelphia high school English teacher. 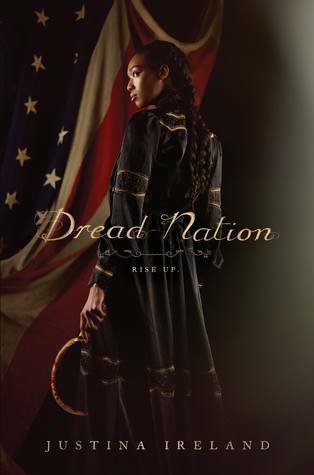 [Review of Dread Nation] A Wise Placement of Dialogue for Issues of Colorism Amoung Those of Color: Bravo Justina! I didn’t get to download the ARC because I was so busy with other titles (not that it shows on my Goodreads, but I was…really. 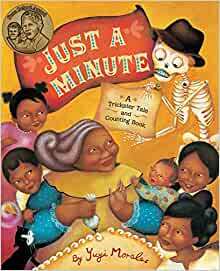 That didn’t stop me from trolling everything that was being said about this book by everyone else, especially when I knew it was entrenched in the fight against zombies by People of Color. Zombies are deeply ingrained as a practiced belief found in the Vodun religion of the Ewe and Foh from Northwest Africa, from the practice of Quimbanda (Kimbanda) in Central Congo and Angolan regions of Africa . 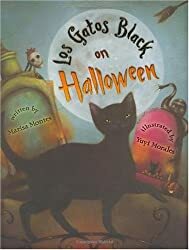 In the Western Hemisphere, chattel slavery brought these African cultural groups together and they used the similarities of their indigenous religions to synchronize them into practices of Santeria, Palo Mayambe, Voudon, Voodoo, Candomblé, HooDoo, etc.“This is a country for white men, and by God, as long as I am President, it shall be a government for white men,” he wrote in 1866. It is also set in an altered post-Civil War Era. All my life, I have had to debate the “Lincoln Freed the Slaves” term by those that took it literally as Lincoln showing empathy towards chattel enslavement and those who were proud of their Confederate heritage and loved to harp on a more degraded view of Lincoln’s move as economical and had nothing to do with slaves. The Confederate harping was a more true view, but because most Americans with involuntary immigration in their heritage have little opportunities to speak with and study their history contextually and critically,, they are not aware of what was actually put in place by Lincoln that was cut off by Vice President Johnson who had a white supremacist nature and favored a weak version of the Civil Rights Bill of the 19th Century Reconstruction. His short stint as president brought about the state’s right move to determine who could and could not vote based on race. He was an open opponent of the 14th Amendment, his mannerism so disgusted some that they compared his time in the Presidential Office to that of Caligula’s horse, in other words…disgusting. Sounds a little bit like the attitude towards the Trump White House. This, however, is not discussed much in K-12 curriculum but is definite food for thought with the reading of Dread Nation. In fact, the entire procedures for ending chattel slavery should be looked at from within a critical historical context, for Lincoln played this as one would when applying the strategy of an ingenious investment move on Wall Street…one that could end up bringing down the Confederacy’s whole House of Cards. This was possible because the entire basis of America’s economy was vested in the success of the forced unpaid labor of the enslaved that were not viewed as human beings, and that were insured as collateral on the stock market as one would a herd of cattle or real estate. 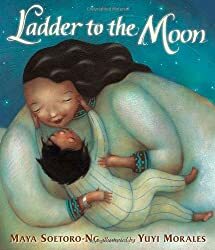 That Justina goes into the heritage of her protagonist who at the beginning of the story was well aware of her birth mother was perhaps a possible construction for the war was over and she was spared the fate of death at birth, due to the midwife who raised her. It was astonishing, however, that there was no mention of the father. Slave owners felt it critical to not even document the names and origin of their slaves. Better documentation was made of horseflesh. Granted there are a few exceptions, but very very few. For instance, the Tucker family of Hampton Roads Virginia (Jamestown) has origins that trace their heritage back to the White Lion, a Dutch ship that brought the first Africans to the shores of the British New World in 1619. Those Africans were from what we know today as Angola and were classified as indentured, a term that many whites with this ancestry group love to refer to as enslavement. NO. Please stop aligning the limited servitude of indentured work with the that of chattel slavery. It’s demeaning to those whose ancestry ended in a bill of sales. All on the White Lion were eventually free, for they came before chattel slave laws existed. Two were legally married with signed documentation. Anthony and Isabella were their names. They are two of the few from that period when the country was being formed who possessed a legally acknowledged marriage certificate by the Virginia Colony. When they had their son William and baptized him, this made William recognized by the Crown and able to own land. Their small family, which was granted a plot of land after indentured service was up, were the first legally recognized black family in the New World. All whosoever that can claim blood lineage to members of that ship should be viewed as blue blood elites due to their ancestral heritage. But not many black Americans know much past I875, due to the insignificance of their humanity, an insignificance that was not lost in this altered historical state, I might add. It is also some of the things the reading of this story should be able to stir up in the minds of the readers. I call these the what ifs. What if this was included in our history books? It’s not. What if this was included in the state of Virginia’s history books? It’s not. What if black Americans knew they had a blue blood heritage of free blacks living and owning land in America before Colonial times? They don’t. What about all the black Americans whose surnames are Tucker. Are they aware of what their heritage might be? Even the Tuckers in Virginia are bickering over this. Take a DNA test. In this country, it should be mandatory that those of the enslaved past take mandatory DNA tests. The purposeful separation from cultural connections in Africa was so severe with black Americans in the USA that little children even today in the 21st Century say “I don’t have a history due to the effort to erase it.” Now I hear that the state of Texas is challenging students to think critically by listing and discussing both the positive and the negative impacts of slavery. I want to be a Texas student today. I want to exclaim how the striping of my cultural heritage and the degradation of my race has served to positively let me know that there are those in this country that saw my ancestors as less than animals and based on the hunting mentality of police in this country, they still see black males as a threat. It is also a positive fact that the efforts from unpaid labor made millions if not billions for individuals, and the economy of the nation. I could go on and on and on with this list of positive impacts. The most successful achievement is the hierarchy of race slavery allowed for those in this country who needed to feel empowered. That sense of elitism is still in existence today and going strong, without challenge due to textbooks, the children’s book publishing world, and the media that whites out what is depicted of our society. There’s some movies, even today that don’t show the existence of on person of color, hue, tent, shade, whatever. Still. With all of this baggage of misrepresentation that has built up in our society, in struts Justina Ireland! Oh my God! …and what does she strut in with? Zombies rising up out of the sacred battlefields of the Civil War and POCs made to be the natural deterrents who are now required to undergo an educational experience that only the white elite was once privileged to, must also berained in the art of defense using futuristic steampunk weaponry which led to the Civil War and slavery coming to an immediate end…I couldn’t wait for this mamma bamma to come out. I also couldn’t help but think of this new forced education as yet and still another means of the dominant society to control those they feel are inferior to them. I couldn’t also help but the thing about the forced deprogramming that missionary schools performed forcefully on the Indigenous People in the Northwest. I have to say, my antennas were tweaking. I literally trolled Justina on Twitter AND WHEN SHE CAME OUT WITH A PLAYLIST on Spotify on the release day, I flipped because she. had. my. girl. on. the. list! Yes! Valarie June and her bluesy country-twinged folk stylings. Oh, did I mention that I bought 3 signed copies, in advance for gifts? It is my dream that the kids will start reading the title and get so hooked that they will not only get into the culture of the world of Dread Nation they will read up on the real facts of the era and look at it in a more critical way, in the manner that Justina did when she so adeptly redefined the post-Civil War world where slaves and First Nation people were elevated to a higher social level yet still commodisized by white society to fend off their communities from the Zombies through a systematic forced educational policy which required all POCs to successfully complete finishing school so they can be shaped and molded into killing machines…. … in service to the white elite women who lease them out from conglomerates such as the school Jane, the protagonist attends (Ms. Preston’s School of Combat). 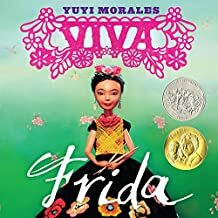 Told in such as way as to mirror today’s world, the story succeeds with being both thought-provoking and heartbreaking, for the protagonist yearns for some form of communication from her mother. The trick for implementing this is done by using unanswered letters as dividing lines of transition between sections. The letter are ones written by Jane to her mother in Kentucky. It’s of interest that Jane is from a border state and not the Deep South, too. Although I’m not sure if that really matters, for the racism in this country permeates all areas, regions, and societal levels. Colorism is not a thing of the past. to purposely misspeak to keep from being severely punished while enslaved, for this showed insubordination, yet in the altered state, they were expected to learn the skills of high society. While stations in life were raised to meet the level of service required of the dominant members of society, there still existed the belief of inferiority. I was finding it a little confusing that the protagonist could easily adapt to her new station in the society, one that approved the black and First Nation youths’ advanced educational training, yet still disapproved of equality…one that used the Bible once to prove how dumb POCs were, and now allowed them the grandest training of social graces. Granted, Jane being born with the first rise of zombies did not have prior memories of what once was socially. She certainly would not have been free to express herself in the manner in which she does had she been raised as chattel. Another question that came into my head as I read the story concerned the survival of off-spring by white women who were impregnated by blacks (as mentioned before). They would have been more than likely killed along with the black man that impregnated them in many cases. Even if the child was taken away and raised by another woman of color, that child, to save her, would normally not have been told that her mother was the white owner of the estate. On the other hand, nothing usually happened to the planter who did the same thing with half the female slaves in his ownership. I did, however, like how Justina jumped into the issue of colorism within the race. That is a huge unspoken issue among POC, and it is important because it’s often not brought out in the public, for all the world to see. My background is of Afro-Cuban and American black and the colorism is rampant on both sides rather people like to admit it or not. It’s an issue that will never end, in my honest opinion and it takes on so many forms with its origins in the preferential treatment of lighter skin slaves by their owners. Until the 60s, the colorism dealt with the brown paper bag test, whereas those that were darker needed to step back. In the hip-hop world, the problem is so prevalent that females in the music industry are never seen wearing their natural hair if it is not naturally long. Almost all black American females in the music industry wear hair weaves, color contact lenses, and body enhanced injections. In the Latin American world, the media is whitewashed. 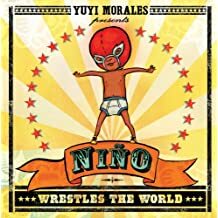 There are no Afro-Latino on TV, in the movies, nor in the music videos, and no one questions this on a grand scale. In the United States, I remember last year either reading or hearing someone say “there are black Hispanics” which I thought wow, how long did it take you to figure that one out? But that’s understandable since most Americans don’t realize the majority of Cubans who migrated to Florida due to Castro’s rule, are not white but identify as such. This is because they, like many of Hispanic origins cling to an Anglican and mestizo identity as the supreme caste in society. This is also a truth throughout the Caribbean and South America. It has origin in to how POC were identified post-slavery, with those that were the closest to white European being of the most accepted socially, with the next in line being those mixed with only Anglican and Indigenous genes. Those that were mixed with Anglican and African, African and Indigenous, or all three were categorized as mulatto but were considered illigetimate, because during slavery, this group were the result of people partnering up outside their marriage. 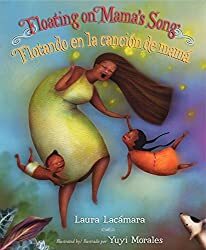 Today Cubans embrace cubanidad or the African influence in their society, and few would say there still exists racist practices due to colorism. Gloves and Hat minus the Umbrella. Protection from darkening is an obsession in Japan. As with all races of color, this does exist. The history, however, is not the same as that of the United States which is filled with written laws and actions that brought about missing opportunities that could establish financial stability for members of these groups. It seemed that those in the dominant position refused to witness this chance to happen and would carry out atrocities of degradation and even death, to ensure it as a non-possibility. No opportunities to live separately in functioning all-black towns. Burnt down. No chances at educations in schools that provided the needed classes to qualify one for certificaiton in particular elite jobs. They were denied the opportunity to enroll and take these classes. No chance to even check out the needed book with the information from the library. The book was in the whites only library and not meant for blacks to read. Although these things never occurred in Cuba, there is the existence of racism. Just consider the manner in which Cubans are identified on the Census. A way that is still entrenched in the systemic identities of slaves of free men. This gives rise to the existence of the 44 degrees of colorism due the subgrouping of citizens in Cuban society. 44! In America there is something similar in New Orleans, although many say it is no more in existence. I say this simply isn’t so. There might me more people who don’t allow themselves to be ruled by the societal pressures of the different distinctions of identity, but it still is in existence. Now, in America, which is obsessed with racial identity, there is also the mixed-race youth population who are counted as the fastest growing group in America’s young adult population. When I was in K-12, this group was so mixed up, because they were raised by and are still being raised by parents who are so intent on NOT using skin tone as an identity that there are mixed-race youth who are black, especially males who don’t identify themselves as black, because their parents are trying to build another way to exist. This is not working in a country where the current president is the new poster child for the fair treatment of racist groups. Our mixed race youth must be well equipped with how to handle societal situations that could find them endangered. 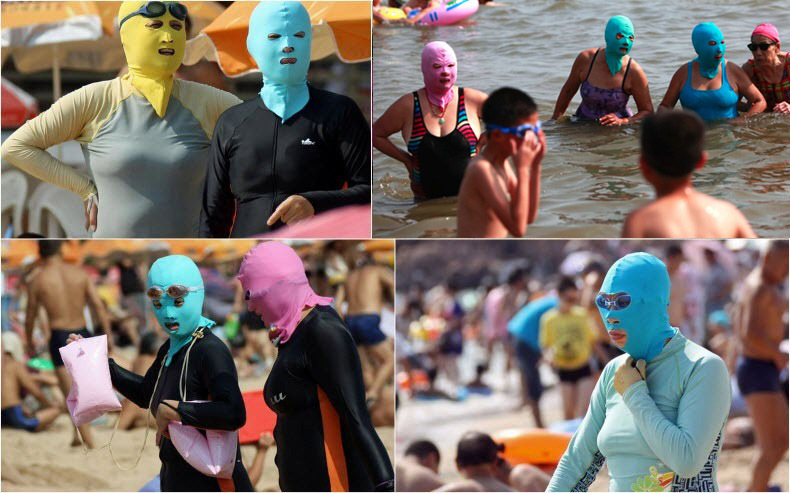 No, this is not the zombies from “Dread Nation” These are Chinese women at the beach in 2018. Blacks and Latinos are not the only ones with colorism issues. Asians have colorism. In Japan, women in 100+ heat walk around covered with fingerless gloves above their elbow, sunglasses, and wide brim hats. Mixed race Japanese have told me of their negative experiences in Japan because the culture is such a purist with race. Mexico has colorism issues, too. Mexico did not recognize or even count in their census the 1.4 million Afro-Mexicans until 2015. Most Americans don’t even know there are Afro-Mexicans in existence. Many Mexicans don’t know, either. I’ve met many Dominicans from DR who literally deny they have African blood in them. Mestizo (Euro-Indigenous heritage) carries the highest rank in the western hemisphere with Latin countries. So, with that said, it is of great interest that Justina addresses these flawed and disregarded marginalized issues in her new series which includes not only issues of color, she also without hesitation is inclusive of gender binary definement within her characterizations, another untouchable subject. 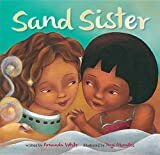 The dialogue this title brings to the foreground for its readers can be controversial in some instances, but undoubtedly rich in social consciousness. I think such topics of conversations generated by this title are timely and have been long needed. They are ones in the heart and minds of our young adults who are living and breathing some of the same situations reflected in a historical setting but still apropos for today. In many instances, the young adult readers will be able to handle the subject matter for such dialogues in far better ways than many members of the older generation, for older gens carry with them a trunkload of historical and social damage. So wise is Justina’s placement of these social seeds of thought in her new series, so calculatingly wise. Felony Murder: The rule of felony murder is a legal doctrine in some common law jurisdictions that broadens the crime of murder: when an offender kills (regardless of intent to kill) in the commission of a dangerous or enumerated crime (called a felony in some jurisdictions), he/she is guilty of murder. Some 46 states in the union have some form of felony murder rule on their statute books. Of those, 11 states unambiguously allow for individuals who commit a felony that ends in a death to be charged with murder even when they were not the agents, of the killing. Is Felony Murder a fair charge to use on underaged youth who witnesses didn’t have anything to do with the crime? 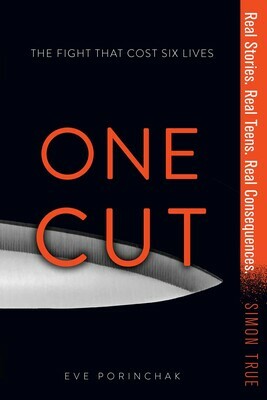 When I first passed out Eve Porinchak’s One Cut for feedback, I had no idea how much engagement this true crime story would bring to the young adult readers our committee sought feedback from who were either in juvenile detention facilities or in secondarypublic schools and who often identified themselves as nonreaders. This title however caught and held their interests, due to the authenticity of the storyline. Authentic usually means conversational dialogue and environment, but not this time. The characters and environment is just the opposite of most of the youth who participated in feedback. They are mostly browns and blacks while the characters in the story are white middle-class teens in Southern California. What pulls them is that these youth got entangled with the justice system and arrested, some under critical pretense, which is much the conditions of environment they live in that find them being racially profiled and arrested at unprecedented rates. The fact that this injustice happened to white teens too, is what brought about engagement and the fact that the story is a real-life well-written truth is what produced a reason for much dialogue amongst those reading the story. A cohesiveness not often experienced by these reluctant readers. 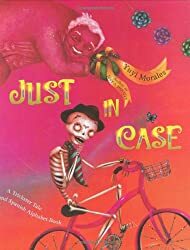 The events took place when the characters were around the same age group of the readers the book is intended for, highlighting a tragedy of enormous proportions in the teen characters’ world… one in which the ordinary routine of comping reefer, went haywire in an instant. The fact that this occurrence is accounted for some twenty-three years in the past is of no importance, for within the framing of the events, the reader can easily see themselves within the story’s boundaries, for this scenario is still occurring today. Due to the court action focus of this story, there is a need to bring about a clear understanding of the legal jargon. An in-depth amount of effort was put forth by the author to bring about a better understanding of the legalese. Ms. Porinchak also devoted extensive time to reviewing individual recounts of the fight that occurred between the six male teen adolescents ending up with one dead and the rest ended with their lives changed forever. In today’s world of media profiling on youth of color, there’s an added interest in this story for it involves the arrest of young middle class white youth, a so-called drug pickup, and gang affiliation accusations, ending with life without parole for all members in the group. 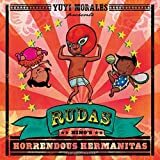 To read a story that involves circumstances similar to what they have mostly known to be associated with a youth of color, but that is instead associated with white upper-middle-class youth is a real event that is next to impossible for them to imagine in their lived world. Most of the youth showing interest are of color and used to being racially profiled by the police. They’re used to being forced, in some instances, to even confess to events they have had nothing to do with…or know of someone who plea-bargained for a lesser conviction of something they didn’t commit, but the people they know are usually of color. In this 1995 situation which was closely after the OJ trial, there was no apparent plea-bargaining, only two possible sides to the same ending: the perspective of Mike McLoren, a neighborhood drug dealer and his friend and neighbor Jimmy Ferris, who died from the incident; and the perspective of the four young men (Brandon Hein who wielded the knife (life + 8 years), brothers Jason (life + 4 years) and Micah Holland (29 years to life), and Tony who did not get involved but witnessed the event [life w/o [parole]). These four boys went onto the property of Mike McLoren’s family to the backyard hangout to either buy weed. Their driver Chris Valardo who was waiting in the car unaware of what was going on received 11 years and was released in 2000. The conflict revolved around Mike’s constant change-up of what happened, of the jury taking Mike’s inconsistent testimonial accounts, and of Chris, the driver receiving as harsh a sentence as the rest of the group which was accused of gang-style activity. Jimmy, by the way, was the son of a policeman. Now we also have the silent blue line and payback for the slaying of one of theirs’. The feedback from the student reviews I received was filled with statements referencing corruption of ethics, with most expressing how the judge literally didn’t show empathy towards the youth involved, especially to Chris who was not at the scene of the crime. Many responses were concerned with Chris saying had DNA been available then, it would have cleared him of involvement. Some even speculated that the case would have been thrown out of court, due to Mike’s inconsistent accounts and that the judge was probably associated with Mike’s father through some sort of private affluent leisure club or investment affiliation…incredible insight for youth of today who are now witnesses to repetitive injustice by a public law enforcement and court system so often found to be corrupt, due to a fraternal code of silence. NEXT STOP DAY 3: APRIL 22, 2018: IN THE MARGIN’S WORDPRESS BLOG TOUR WILL FEATURE EVE PORINCHAK’S MUCH ANTICIPATED INTERVIEW on In the Margins Award Website!